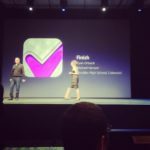 Apple today has introduced a way for developers to transfer apps to another, called App Transfer, within iTunes Direct. Apps can now be transferred from one developer to another within iTunes Connect, for example after an acquisition or when a distribution deal expires. Transferring the ownership of an app does not affect the app’s availability on the App Store. All ratings and reviews will be transferred and your customers will continue to have access to all available app updates. You know the Apple ID of the recipient’s Team Agent and their Team ID. Apple says only Team Agents can initiate or accept an app transfer. A video tutorial and FAQ has been posted as a resource for developers interested in pursuing this new option. 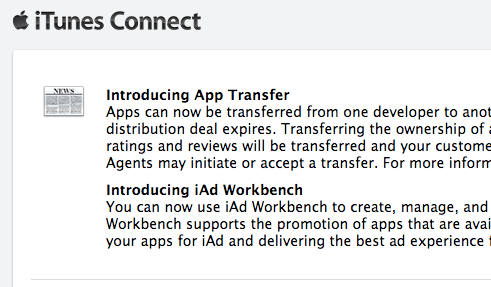 You can now use iAd Workbench to create, manage, and optimize your promotional ad campaigns for your iOS apps. iAd Workbench supports the promotion of apps that are available on the U.S. App Store. You can also generate revenue by enabling your apps for iAd and delivering the best ad experience for iOS users. This afternoon Apple released iOS 7 beta for its developers to test on the iPhone and iPod touch.